Tech Help LA is now recommending and installing Ring Video Surveillance devices for customers in Los Angeles and nearby areas. 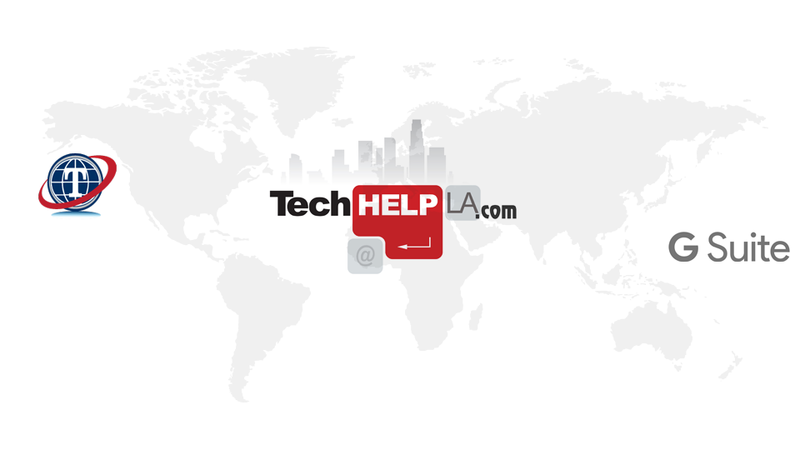 Contact Tech Help LA by phone (213) 986-5722 or email at help@techhelpla.com and schedule an install date and we can bring the devices with us on the day of installation or install what you have ordered yourself. The install, setup, and training should take 1-2 hours per device more or less depending on the desired install location. Ring Video Surveillance devices gives home owners the piece of mind of always keeping an eye on things on demand using the live view feature as well as constant motion recordings from anywhere using your smartphone. All Ring devices feature integrated HD cameras with night vision, providing a clear view of your property, day and night. Call Tech Help LA (213) 986-5722 for an easy installation and training experience. IMPORTANT NOTE: We only perform hardwired Ring device installs that are replacing an existing hardwired device already connected to power. If you are replacing an existing hardwired doorbell or light fixture please send a picture of the existing devices for our review. 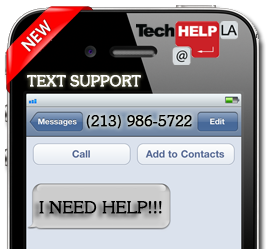 Email pictures to help@techhelpla.com or via text to (213) 986-5722. Author Tech Help LAPosted on November 23, 2018 Categories Ring Support Los Angeles, Ring Video Surveillance, Surveillance Support LA, Surveillance Support Los Angeles, tech help la, Tech Help LA, Tech Help LA Surveillance, tech help los angeles, Tech Help Los Angeles, tech support la, Tech Support LA, Tech Support Los AngelesTags 790am kabc, 790am kabc tech help la, 790am kabc tech support, Announcements, apple buys beats, apple buys beats electronics, Beats Electronics, beats headphones, best internet browser, beverly hills computer repair, beverly hills computer tech support, beverly hills computer technical support, beverly hills computers, Camera Surveillance, chrome browser, chromebook, chromebox, chromecast, computer support, computer tech support, culver city, culver city computer support, dr dre, dre beats, fast web browser, foscam, foscam cameras, foscam.us, free web browser, google browser, google chrome, google now, home power, homepower, kabc, kabc 790am, la ring doorbell, la solar, la solar energy, la solar power, linkedin, los angeles, los angeles ring doorbell install, los angeles solar, los angeles solar energy, los angeles solar panels, los angeles solar power, make it work, make it work closes, make it work closes down, Make It Work Shuts Down, malibu solar, malibu solar energy, malibu solar panels, malibu solar power, malibu tech support, marina del rey computer repair, marina del rey computer support, marina del rey tech support, Michael Puttre, power solar los angeles, power solar malibu, ring, ring doorbell, ring doorbell beverly hills, ring doorbell install, ring doorbell install los angeles, ring doorbell installers la, ring doorbell installers los angeles, ring doorbell los angeles, ring doorbell tech help la, ring floodlight install la, ring floodlight install los angeles, ring floodlight installs la, ring floodlight installs los angeles, ring floodlight setup la, ring floodlight setup los angeles, ring floodlight support la, ring floodlight support los angeles, ring surveillance support la, ring surveillance support los angeles, Save on Your Electric Bill, solar, solar energy, Solar Energy and Higher Property Values, Solar Energy and the Environment, solar energy la, solar energy los angeles, solar energy malibu, solar home install, solar home installation, solar installation los angeles, solar installation malibu, solar panels, solar panels la, solar panels los angeles, solar panels malibu, solar power, solar power la, solar power los angeles, solar power malibu, Surveillance Team LA, surveillanceteamla.com, tech help la, tech help la ring doorbell install, tech help los angeles, Technical support, technician, technology, Why Solar Energy?, Why Use Solar Electricity?